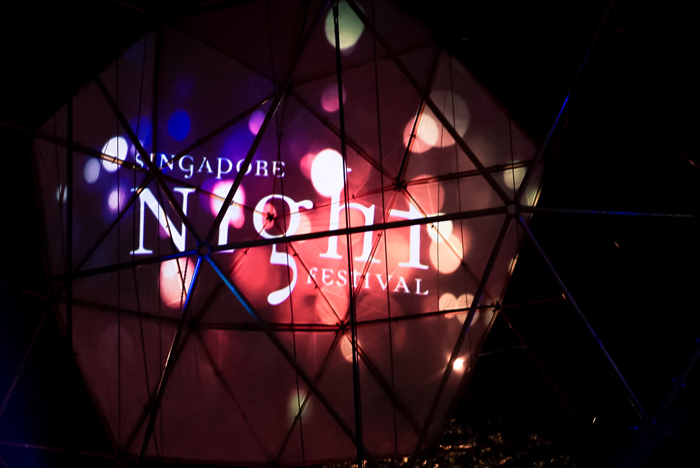 Singapore Night Festival is back again for the 10th time this year with beautiful installations we have been waiting for. 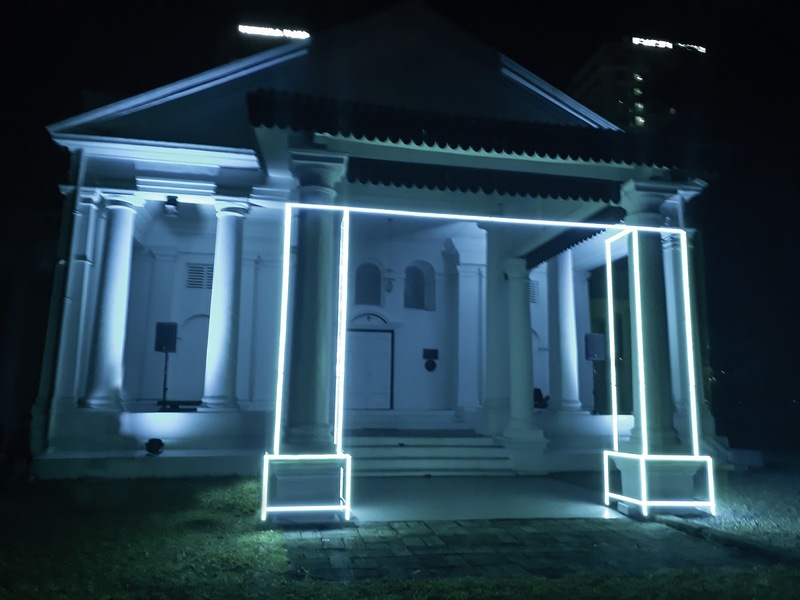 Artwork and sintallations are placed in several spots like the Singapore National Museum, SMU Ground, Arrmenian Church, National Design Centre and the like. 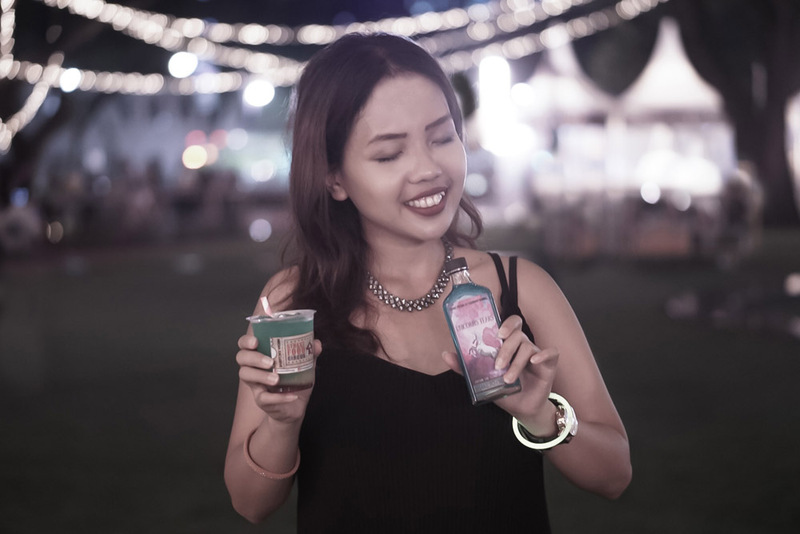 Aesop will celebrate the tenth anniversary of the Singapore Night Festival with an evocative scent experience, initiated by light, for two weeks in August. 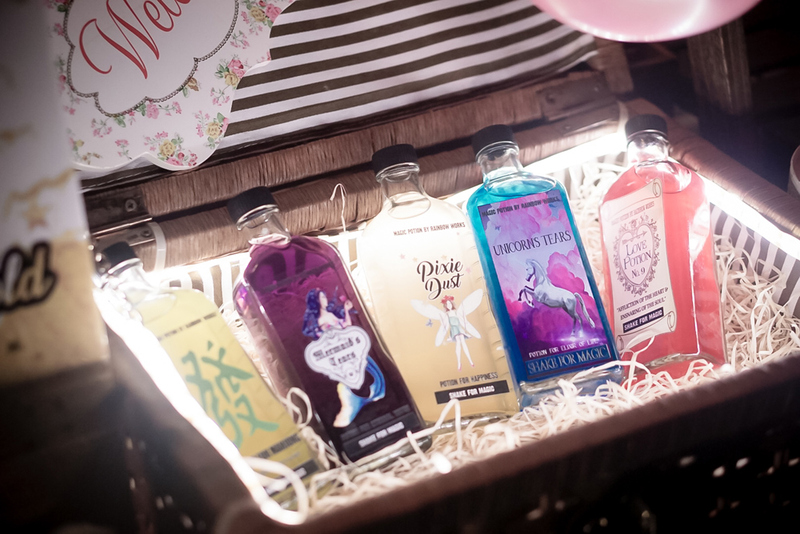 In keeping with the festival’s theme of ‘ten magical years’, a unique scent is offered to mark the occasion and inspire the festival. 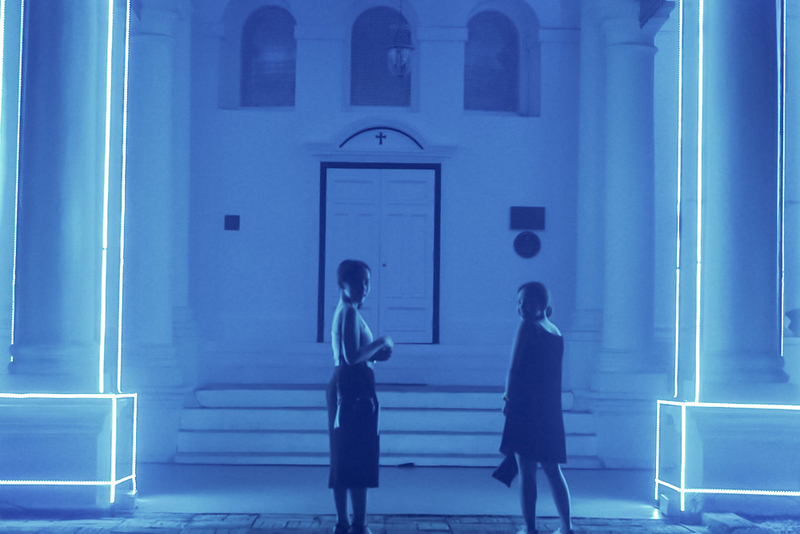 Taking place at Singapore’s Gallery 10, the experience titled, ‘Nostos: Records of the Self’, celebrates the intrinsic link between scent and memory. 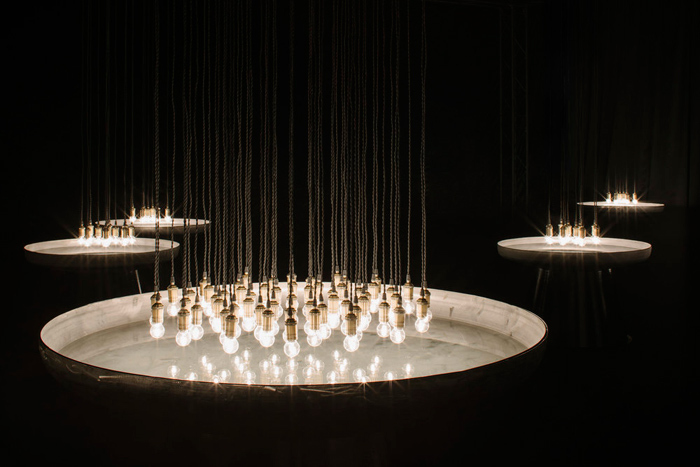 Light is used to heat essential oils in ten handcrafted steel wells, with the scent permeating the space to create an environment of respite and reflection. The project molds the architectural facade of the National Museum of Singapore. It choreographs every part of the museum in a poetic ballet borrowed from technology where ancient and modern co-exist in great harmony. It proposes a new and contemporary look on the art of mapping by relying on a very precise use of the art of light and laser. The music composed by the French group EZ3kiel comes to illustrate, in a most precise way, the work of the images. 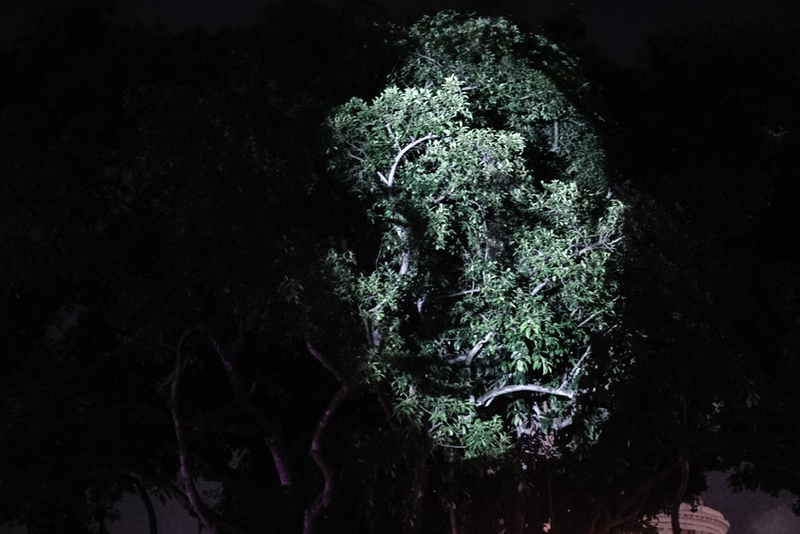 The Tree That Blinked is a series of portraits projected into a tree that toys with notions of identity, representation, and transformation. As the work moves and shifts with the wind, expressions seem to change, and the faces appear to undergo changes of age. 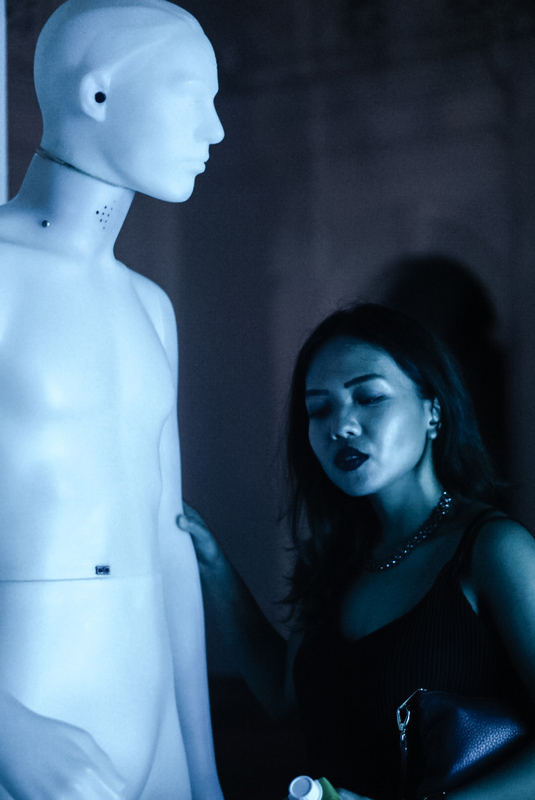 Behind the interactive art installation of 16 human-sized figurines, The Standing Men call out to those strolling by to initiate a dialogue with them. 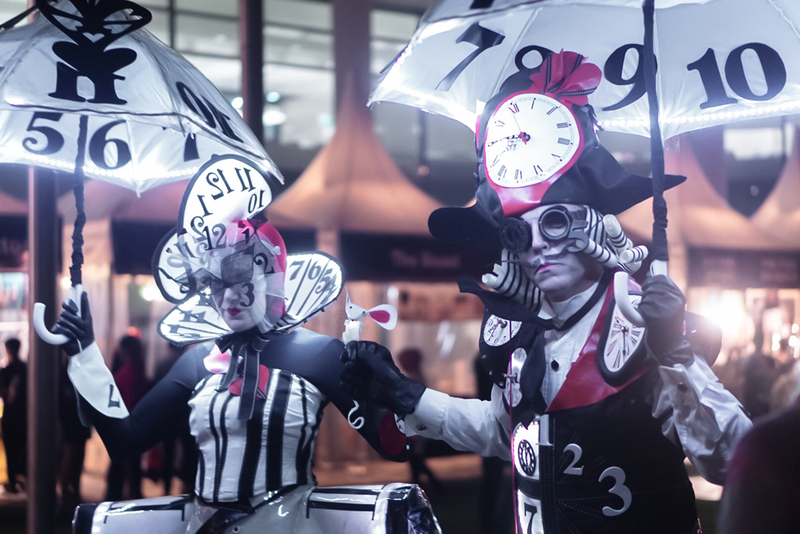 Flashes go off in an echo, colors change… the statues come to life in an unpredictable way, transforming the entire installation into a ballet of light. 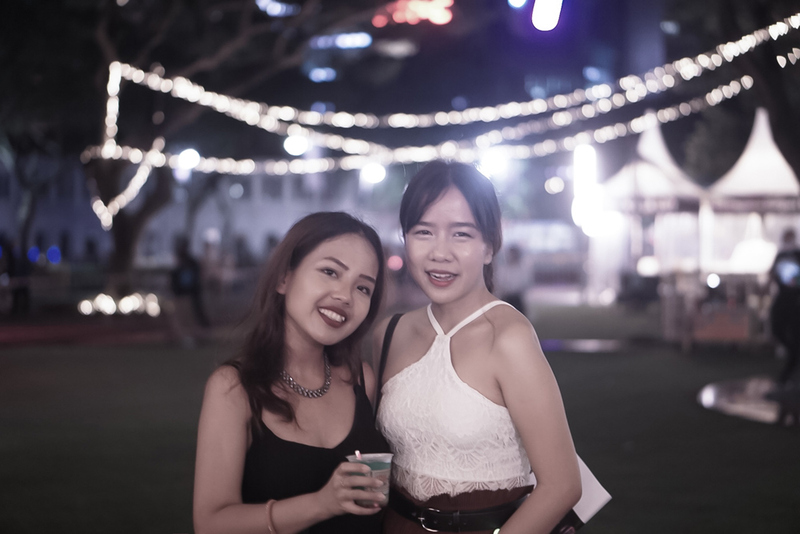 The installation presented at the Singapore Night Festival features voices and emotions of inhabitants in Bras Basah.Bugis, who were recorded in August 2017. 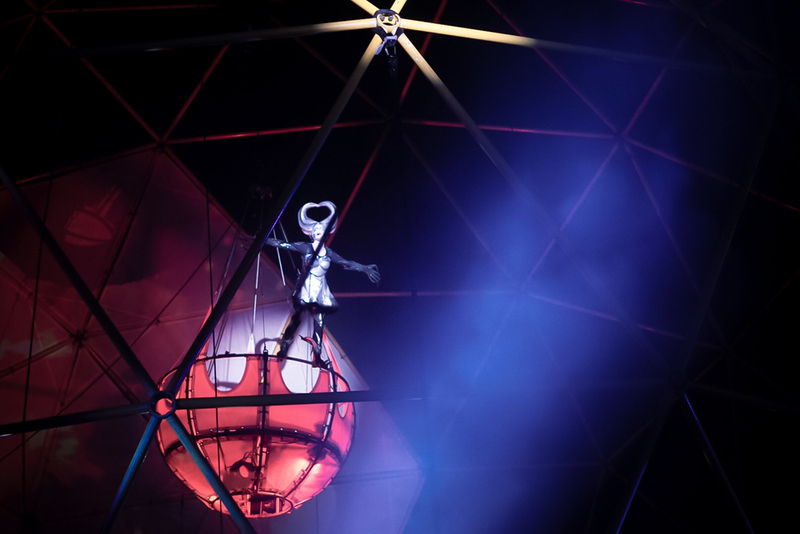 The Flower of Life and the Infinite Self consists of two symbiotic pieces: a geodesic PVC dome with a tessellated fabric roof resembling the flower of life, and interior walls mounted with geometrically arranged convex mirrors that form dynamic reflections of visitors as they walk around the dome. 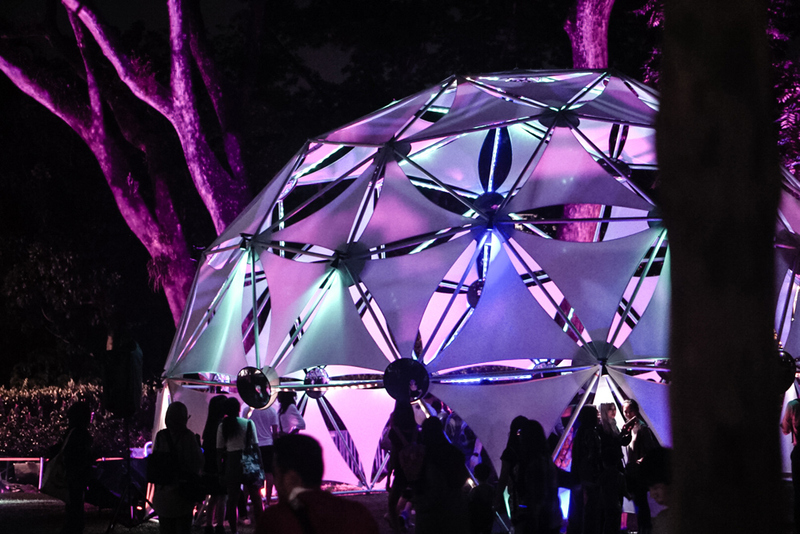 Drawing inspiration from Buckminster Fuller and M.C. 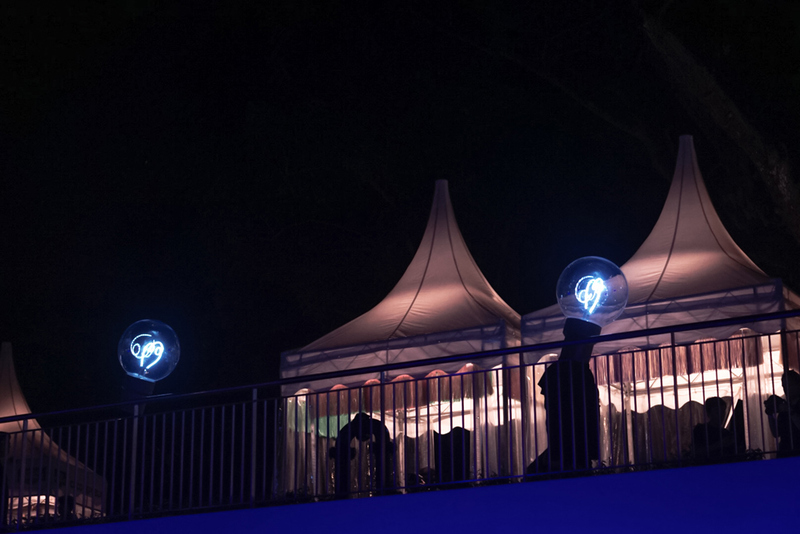 Escher, this installation will present a different persona during the day and night, providing visitors with a colourful meditative atmosphere under geometry and reflections. 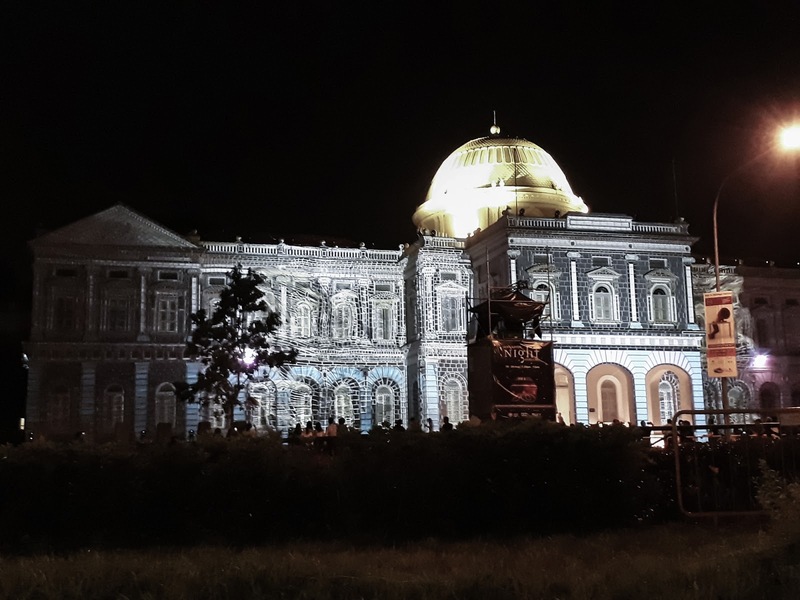 Secrecy brings cool light to the hallowed grounds, a nod to the patron saint of the Armenian Church: St Gregory the Illuminator. In the artist's futuristic interpretation, the garden is bathed in a spectrum of calm neon tones with an ambient soundscape in the background. These colours bring to mind energy, the blue flame of a stove top, a flash of lighting across the sky. Mostly, its subtlety reminds city dwellers of the magic of electricity that runs in the veins of our great urban metropolises. It is a quiet hum that on a microcosmic level, mimics the mysterious pulse of life that runs in all living organisms. 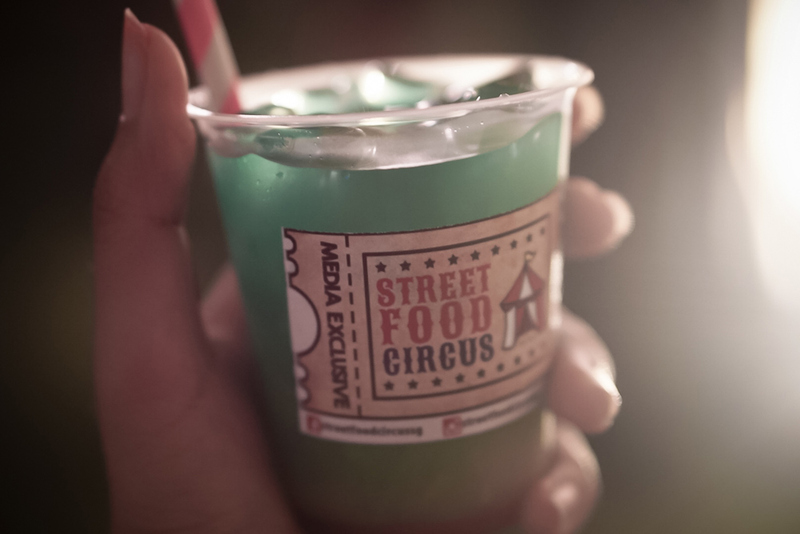 Also we had some nice food and drinks from various stalls at the SMU ground!